If I was white, I would love for John Goodman to be my father. The man is awesome. Plus my last name would be 'Goodman". Middle name can be 'Is". Javaris Is Goodman. Okay, now I'm really wishing he was my father just for that simple fact. Today we will be giving away tickets to see one of his new movies "Love The Coopers". 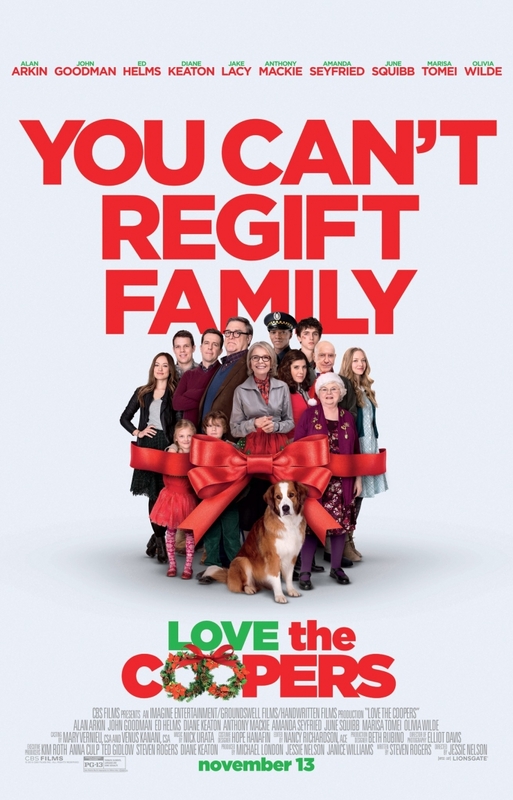 LOVE THE COOPERS follows the Cooper clan as four generations of extended family come together for their annual Christmas Eve celebration. As the evening unfolds, a series of unexpected visitors and unlikely events turn the night upside down, leading them all toward a surprising rediscovery of family bonds and the spirit of the holiday. I know nothing about this movie, but John is in it and John is GOLD. Plus, it's free. Can't beat that......with a bat. Click here to get the tickets and be sure to move fast. If it's anything like the last. They're be gone really quick.